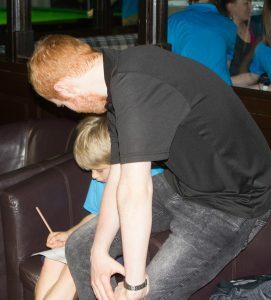 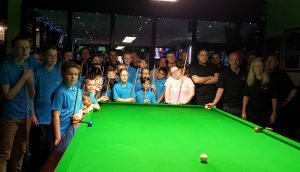 On behalf of Scottish Snooker, we would like to thank all that turned up to make the Scottish Snooker Junior Academy Open Day @ Minnesota Fats Snooker Club in Glasgow such a success along with more than 30 kids from around the country including the local Linn Park Junior Academy Disability Group. 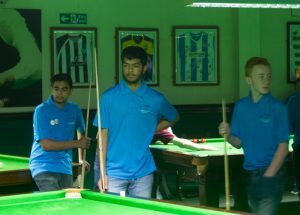 A big thanks to Sandra and the staff from Minnesota Fats for providing the tables and a fantastic buffet for all. 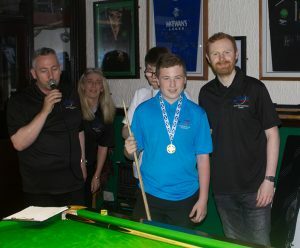 Great days like this don’t happen without the help of volunteers so I would like to thank our coaches Martin Cook, Michael Gallagher, Davy Johnston & Head Coach Chris Small. 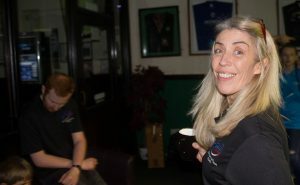 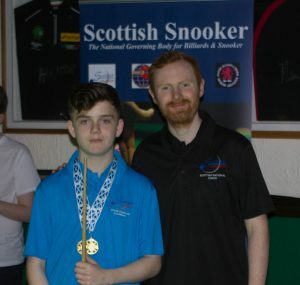 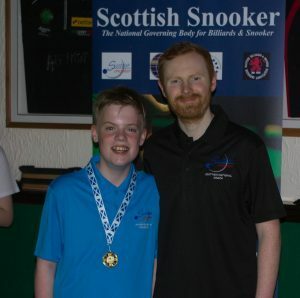 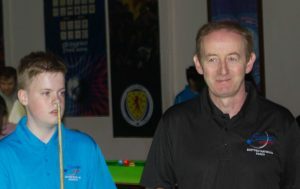 Also, Anthony McGill who had just arrived back that morning from the European Masters in Belgium also Scottish Professionals Eden Sharav and Chris Totten, Scottish Referees Leo Scullion and Willie Craig. 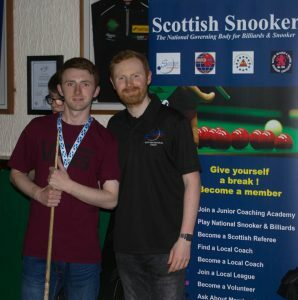 Anne Totten (Scottish Snooker Secretary) and number of parents and carers also helped all day so massive thank you to each and every one who helped. 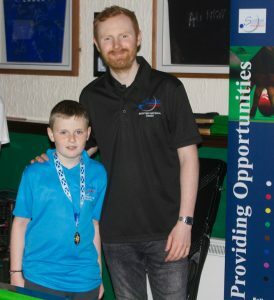 I would like to mention Davy Johnston again who were instrumental in running and putting the whole day together. 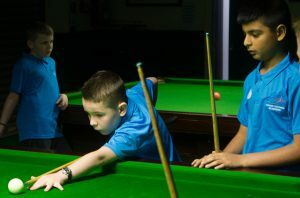 Lastly a big thanks to the Paul Hunter Foundation for providing funding for the academy tops and medals on the day. 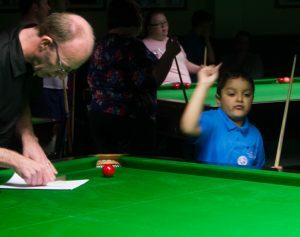 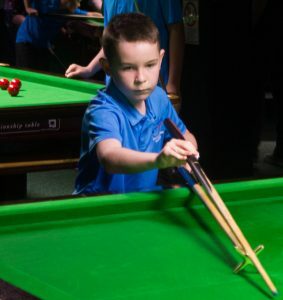 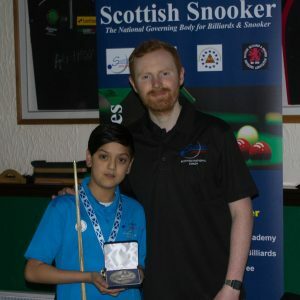 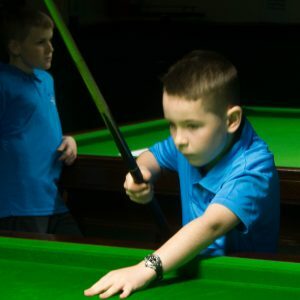 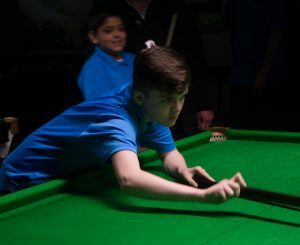 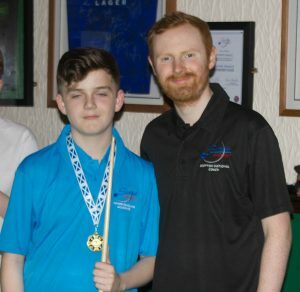 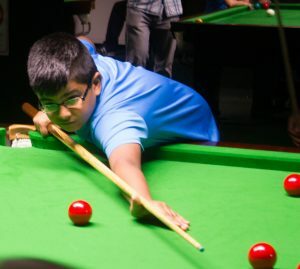 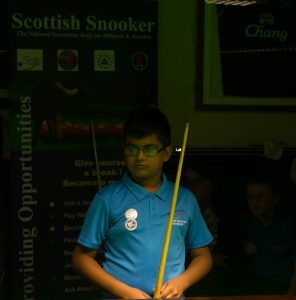 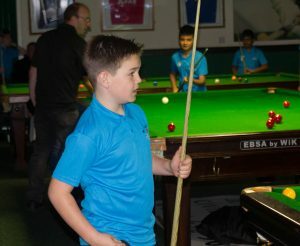 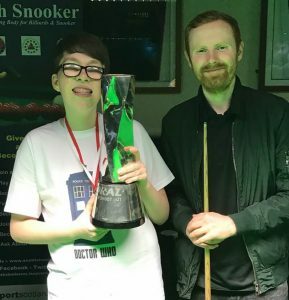 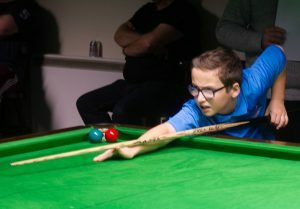 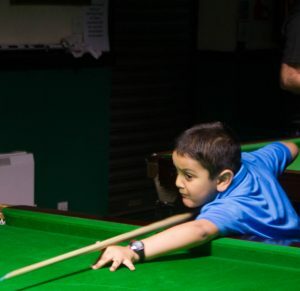 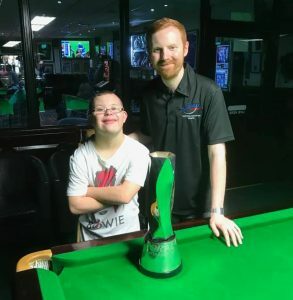 Our academies have evolved since the Paul Hunter Roadshows which we ran throughout Scotland earlier in the year by WPBSA’s Chris Lovell, this has provided the launchpad to the 5 Junior Academies we now have up and running. 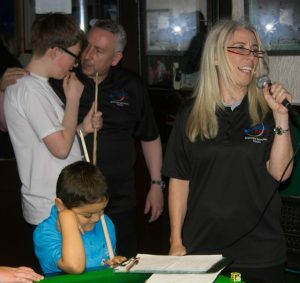 For us to maintain and build on our early success it is vitally important that we grow the fantastic volunteer group that is starting to build. 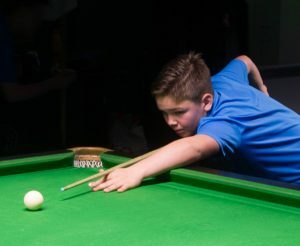 We would like to encourage anyone who has a genuine interest in helping to grow the junior game to come forward and join the NGB by giving us any amount of valuable free time that they have. 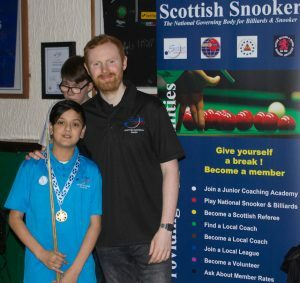 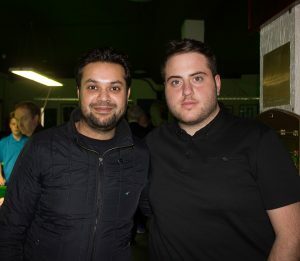 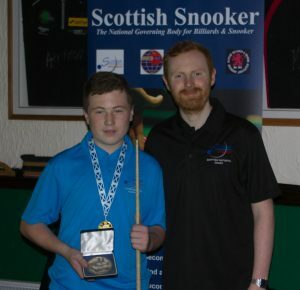 We are looking for club owners to offer some table time to run new academies, promote national and grassroots snooker in Scotland and generally help grow the sport. 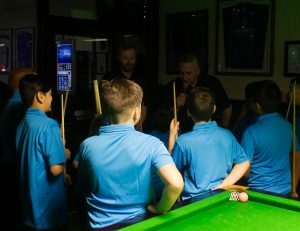 We need people who are interested in becoming a ‘Community Coach’ and run new academies, also parents / carers to encourage their children (boys and girls) to come along and join in the fun. 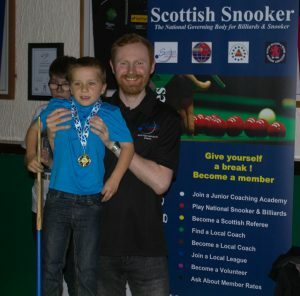 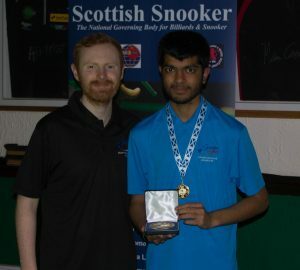 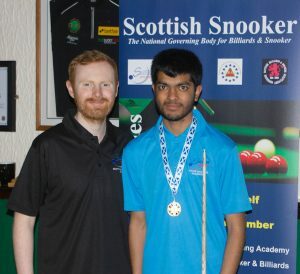 If you want to know how to get involved please contact Scottish Snooker the National Governing Body.